Below you will find instructions for the applicants. In case you have any further questions, read the FAQ first and if you cannot find an answer to your question, contact us at secclo@aalto.fi! Follow these seven steps during the SECCLO admission process. Note that you can complete the first two steps before our application period begins. If your application was eligible and proceeded to the academic evaluation, wait for the selection results to be published! See below for further information on each step. Before you begin the application process, check your compliance with our admission requirements. Note that the 2nd application period for the September 2019 student intake is for self-funded students only i.e. no Erasmus Mundus scholarships can be applied. If an English language test is required from you and you have not taken the test yet, book a seat for it immediately. Applications without a valid English test result are not eligible and will not be processed further. Start collecting your application documents. Pay special attention to the country-specific requirements, if they apply to you. The online application form will be open during our second application period, 18 March – 12 April 2019. Use the below button to access the application portal. motivation for the SECCLO studies. copies of other relevant documents you want us to consider (e.g. relevant work certificates, scientific publications or other relevant activities, GRE/GMAT results if taken, etc.). The application portal supports the following file formats: .pdf, .png, .jpg and .jpeg, out of which .pdf is preferred especially for educational documents (degree certificates and transcript of records). For the educational documents, we ask you to scan the officially attested copies of the original documents, in effect, the same documents you will mail us, if they are already available at the time of submitting the online application. Be sure to include all pages of documents that contain any type of text/writing, even if it is on a back page. This is especially important for educational documents. For passports, the page with your personal data (name, date of birth, citizenship) is sufficient. Make sure that everything in the document is visible and readable on the scan. All documents that are in the same category (for example, a transcripts of records that has four pages) should be scanned into ONE file, please do not make a separate file for each page. SECCLO application platform requires a modern browser. We recommend the latest version of Google Chrome or Mozilla Firefox as these browsers ensure the best performance and security. The application platform also supports Apple Safari 10+ and the latest version of Microsoft Edge 40+. With these browsers, however, you may encounter performance issues and occasional glitches. Supported browsers are: Google Chrome 56+, Mozilla Firefox 52+, Apple Safari 10+, Microsoft Edge 40+. In order for your application to be eligible, in addition to uploading your Bachelor’s degree certificate and transcript of records to the application portal, you will need to mail us the officially attested copies of these two documents. The officially attested copies of the Bachelor’s degree certificate, transcript of records, and their translations (if required), bearing original attestation stamps and fulfilling the country-specific additional requirements, if applicable, need to reach Aalto University by the SECCLO application deadline 12 April 2019 at 15:00 (3 pm, GMT +3:00) or if the application deadline is less than two weeks away from the date your submitted online application was checked, within the individual deadline given to you by e-mail. The individual deadline to complement the application will be two weeks from the date your online application was checked (see further information from our FAQ). You do not need to mail us any other application documents. You can also bring the documents in person to Aalto University Otaniemi Campus in Espoo, street address: Konemiehentie 2 (Computer Science building), room B150. We strongly advise international applicants to use a courier company or other service where it is possible to track the delivery. The applicant is responsible for meeting the application deadline also in case the application documents are delivered by a third party, e.g. postal service. SECCLO Consortium accepts no responsibility for any possible expenses related to the delivery of the application, such as courier service fees or customs duties. The sender is responsible for all shipping costs. If an official English language test result is required from you (see Admission requirements -> Requirements concerning English language skills), how you should submit the test result for the verification depends on the test taken. Applicants who have taken the IELTS test should upload a copy of the score report to the application portal so that we can verify the result electronically. If you receive your IELTS score after you have submitted your online application, please send a scanned copy of your test result by email to secclo@aalto.fi. For more information on the IELTS tests, please see the IELTS website (ielts.org). Applicants who have taken the TOEFL test need to ask for the official score report to be sent directly to Aalto University as soon as the score is available. Please make sure to use Aalto University’s institutional reporting code 7364. Only the official score report submitted by ETS is accepted. If the TOEFL IBT score delivery request has been made before the application has been submitted, the applicants are asked to give their TOEFL Registration ID number (16 digits, e.g. 00000000xxxxxxxx). The SECCLO Admissions Office have the possibility to verify scores which have been reported with Aalto University’s institutional code 7364 in an online verification system provided by the testing authorities. The scores can be accessed in approximately 1-2 weeks after the delivery order has been made. For more information on how to deliver TOEFL results, please see the ETS website (ets.org). If you have taken the C1 Advanced (former Certificate of Advanced English, CAE) or C2 Proficiency (former Cambridge Certificate of Proficiency in English, CPE) exam, upload a copy of your language certificate to our application portal and mark your exam ID number (e.g. ABC123456) and secret number (e.g. 1234) on the certificate. The exam results after 2005 can be verified electronically, but the exam ID number and secret number are required for verification. For more information on the C1/C2 tests, please see their websites at cambridgeesol.org (C1 Advanced, C2 Proficiency). Applicants who take the PTE A test can deliver their score to Aalto University once they have signed in to the PTE account on the test organiser’s website. The scores can be sent to an unlimited number of institutions free of charge. The test organiser will send an email to confirm that the scores have been sent. Note that according to PTE, it takes up to 48 hours for scores to be sent to institutions. For more information on how to deliver your PTE results, please see the PTE Academic website (pearsonpte.com). 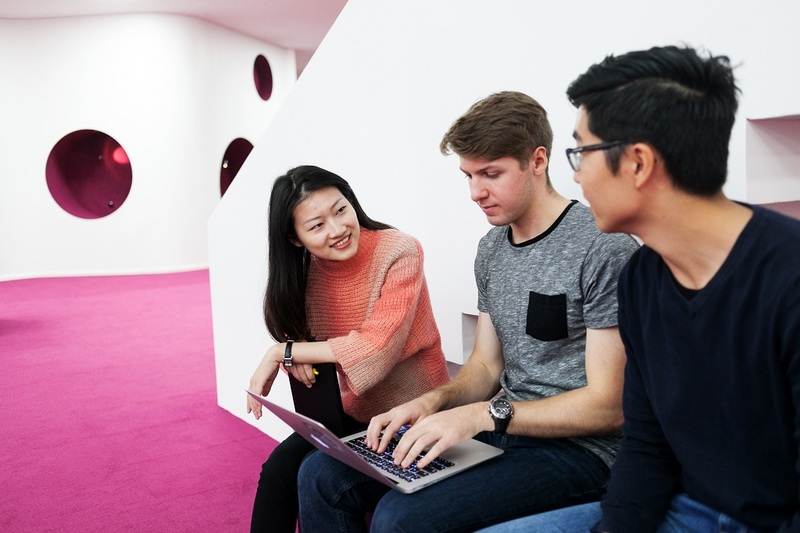 The deadline for the language test results to be received by Aalto University is the SECCLO application deadline 12 April 2019 at 15:00 (3 pm, GMT +3:00) or if the application deadline is less than two weeks away from the date your submitted online application is checked, within the individual deadline given to you by e-mail. The individual deadline to complement the application will be two weeks from the date your online application was checked. If you have followed these instructions, you have now applied to SECCLO and we will process your application. What happens next? The SECCLO Admissions Office at Aalto University will check your online application and its attachments when you submit it. Mailed paper application documents are checked together with the submitted online application. Submitted online applications are checked in order of arrival. Please check your online application carefully before submitting it, as it is not possible to return to edit it afterwards. The online application portal closes on 12 April 2019 at 15:00 (3 pm, GMT +3:00), after which you can no longer submit your application. Your application fulfills our general eligibility requirements and it will proceed to the academic evalution. Your application is incomplete and does not currently fulfill our general eligibility requirements. It will not be processed further unless you complement it. The deadline for complementing the application will be either the SECCLO application deadline or – if it is less than two weeks away – an individual deadline given to you. The individual deadline given will always be two weeks from the date your online application was checked. Your application is not eligible and it will not be processed further. For SECCLO’s general eligibility requirements, please see here. Be sure to follow your e-mail during this time! You should, however, also make sure that you have followed all of our instructions before you submit the application. Step 7 – If your application was eligible, wait for the selection results to be published! The academic evaluation means that the academic staff of all six consortium universities will evaluate the eligible SECCLO applications, and make the final selection and scholarship decisions. This will take some time, but we will try to be as quick as possible while maintaining a comprehensive and thorough evaluation process. After our joint selection meeting, we will inform you about the selection results first by e-mail. The admission letters and all other practical instructions will be sent to the selected students soon after. Good luck during the admission process!